The new design of 'Star Domes' is moving toward the production phase. 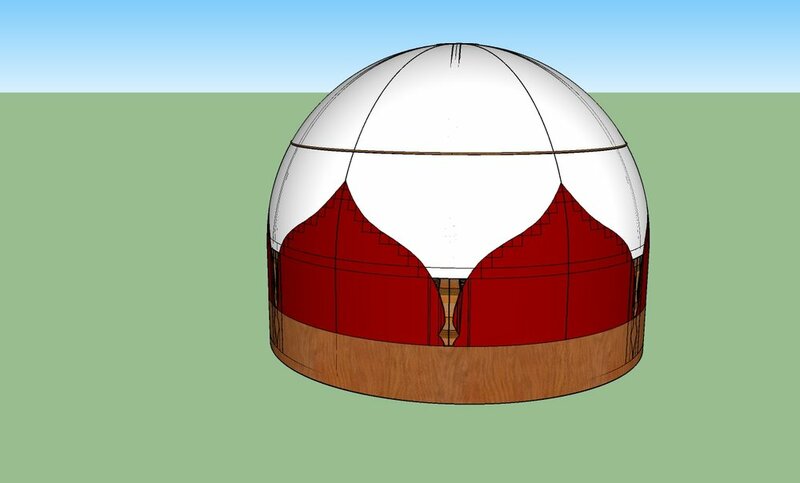 The dome is equivalent of a yurt but modern and modular (internal additions). It can be upto 30ft diameter, or as small as 12ft. Its place is amongst the glamping fields, or used for talks and forums at events. It has built in lighting controllable from your phone, and beautiful dual colour canvas, all held together by a six pointed star.